The Lodge at Eagle Nest Lodge is the center of resort activity. 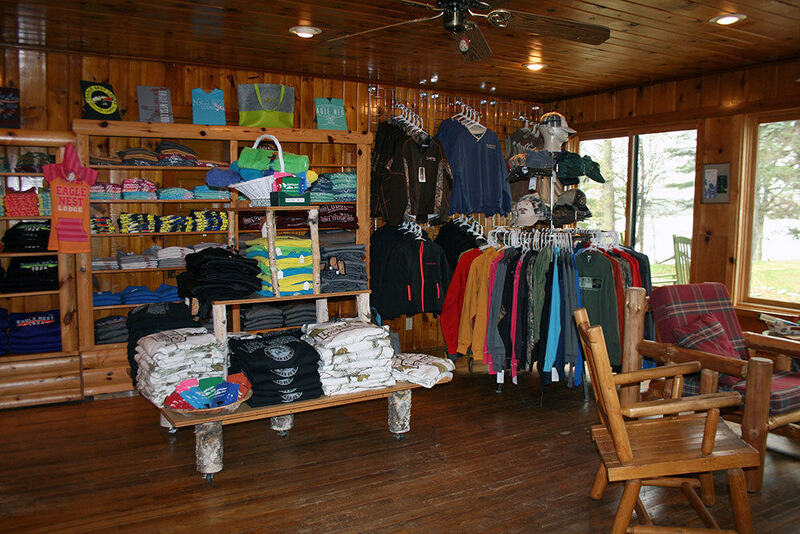 In addition to housing the business office and guest reception area, the Lodge contains a large gift shop with resort apparel, toys, and gifts for sale. We also carry pizzas, snacks and refreshments, light groceries, bait and tackle and fishing licenses. If you need something that isn’t already stocked in your cabin, stop by the Lodge and we likely have it available for your use. Game Room – Our game room is filled with fun activities for children of all ages. You’ll find coloring books, crayons, storybooks and novels, board games, ping pong, pool and family-friendly video games in this popular guest hangout.